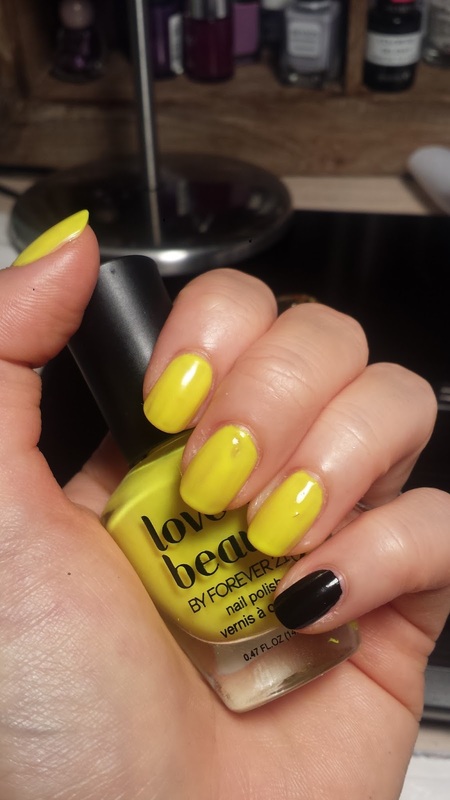 This neon yellow manicure was my first time trying the "plastic bag technique" and it was super fun to do! The end results of individual nails are also very different that you get a completely different look with each pressing! For the base, I used a super old neon yellow polish that I got from Forever 21 years ago. I painted the pinky with a black polish. Now for the fun part: plastic bag pressing! 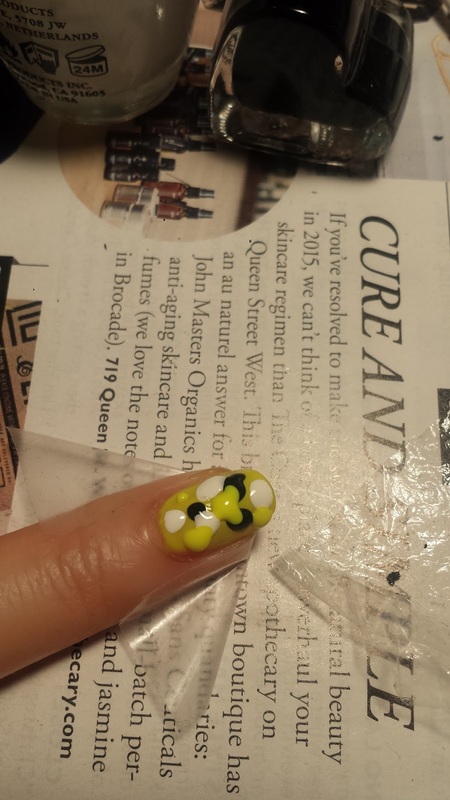 You can also use other material such as a piece of paper to achieve the same result. But a clear piece of plastic will let you see better. Here I used a small piece of kitchen plastic wrap. 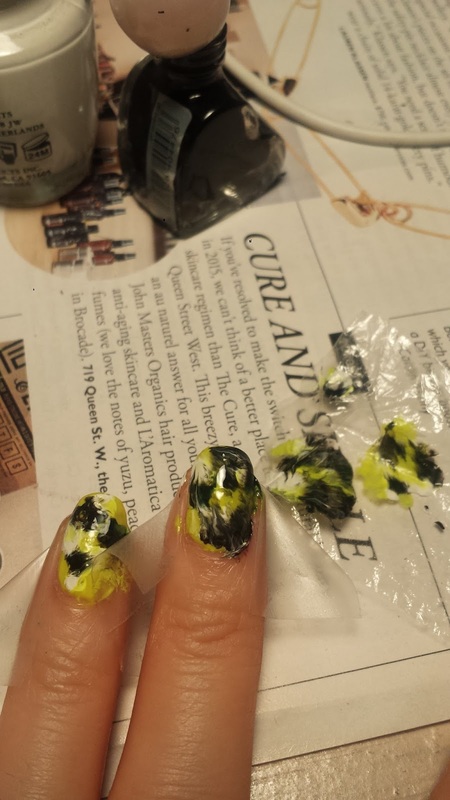 Click HERE to read about what other uses these plastic wraps are good for! Before starting, I protected the skin around the nail with a piece of tape so I would have minimum clean up to do. I dotted the yellow/white/black polishes randomly on the nail and put the plastic on top and press on it lightly. You barely need any pressure. 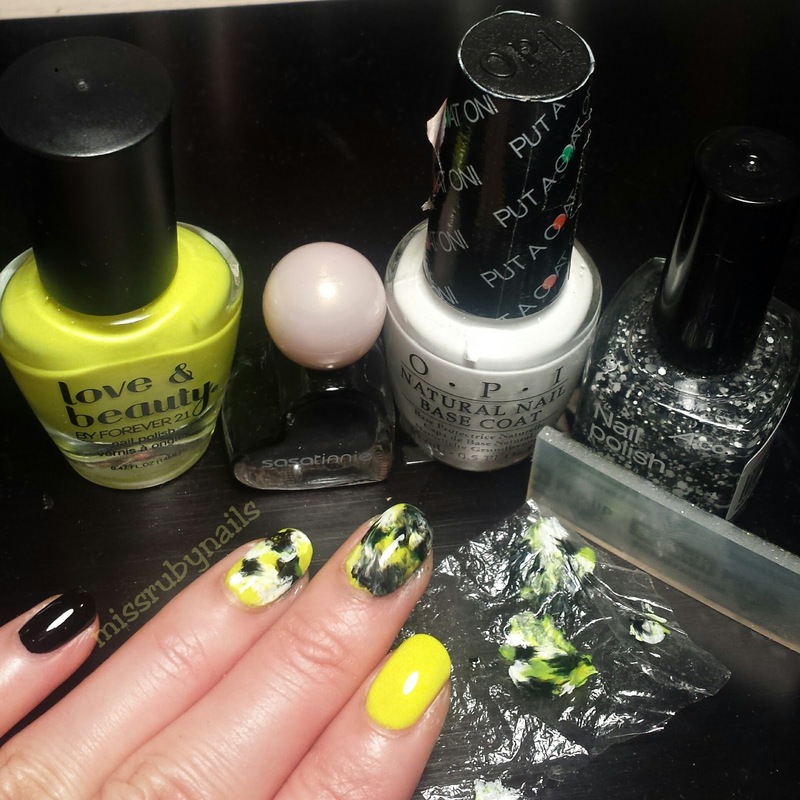 And there you have your watermarble effect without the mess! 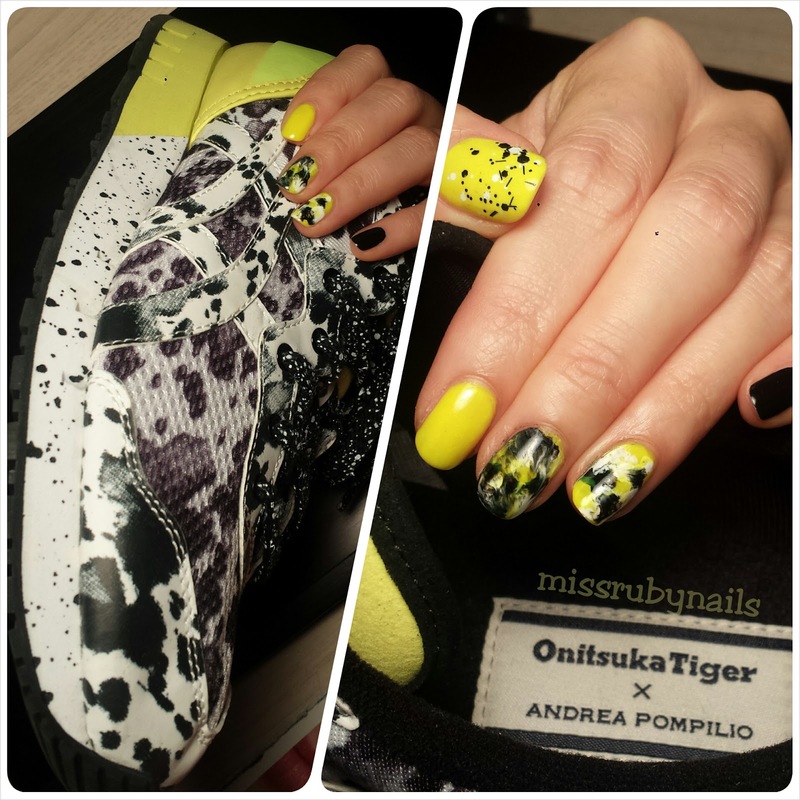 This color combination was inspired by the Asics sneakers - Onitsuka Tiger x Andrea Pompilio. 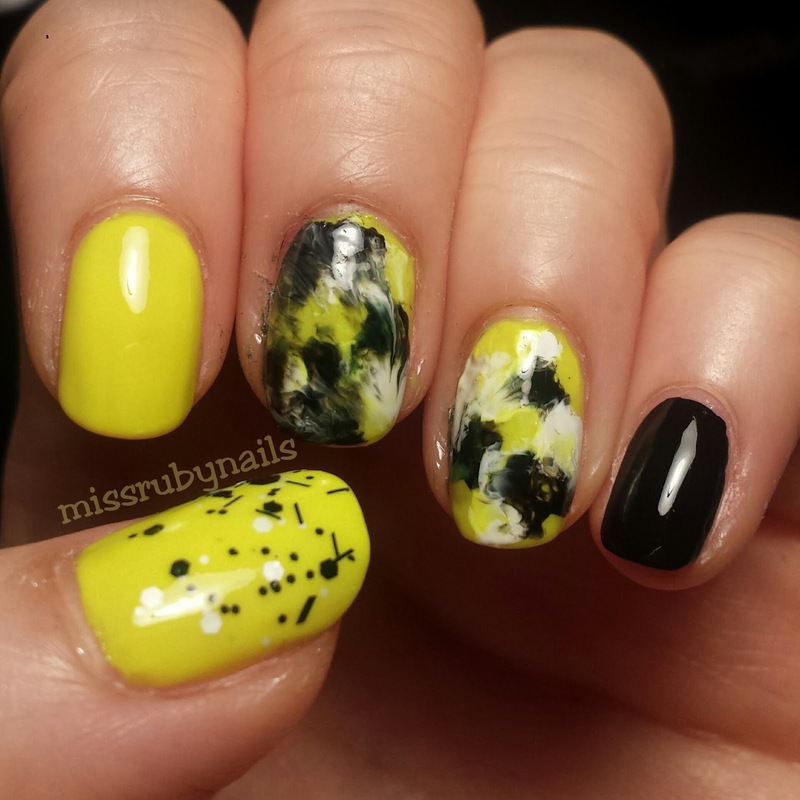 Isn't this color combo beautiful! ?